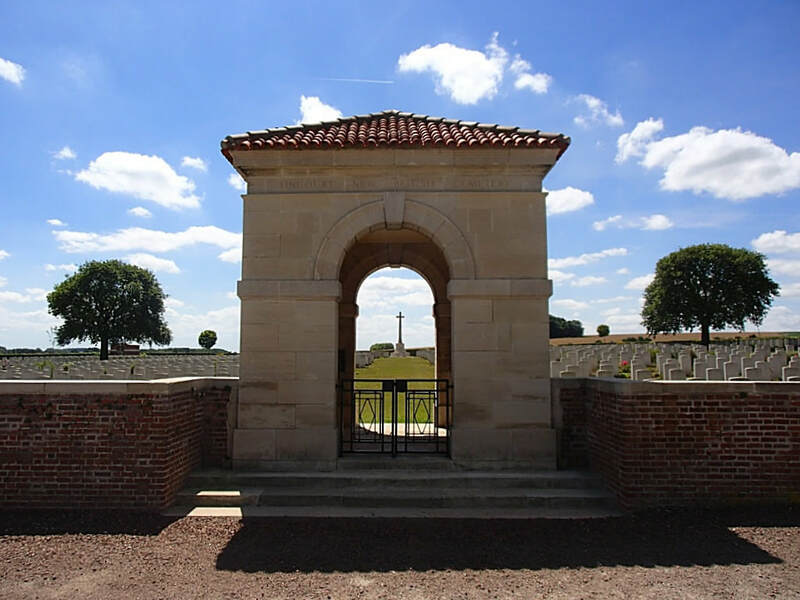 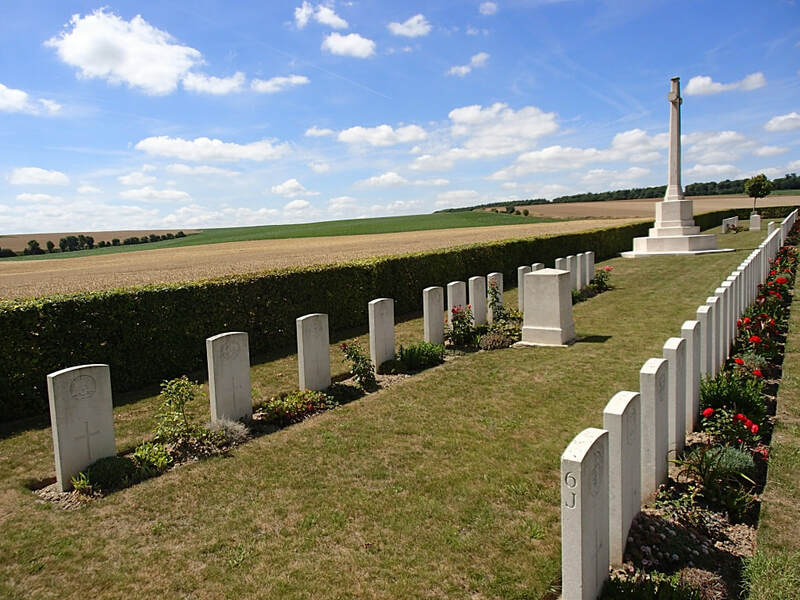 The villages of Tincourt and Boucly were occupied by British troops in March 1917, during the German Retreat to the Hindenburg Line From the following May until March 1918, Tincourt became a centre for Casualty Clearing Stations. On the 23rd March 1918, the villages were evacuated and they were recovered, in a ruined condition, about the 6th September. 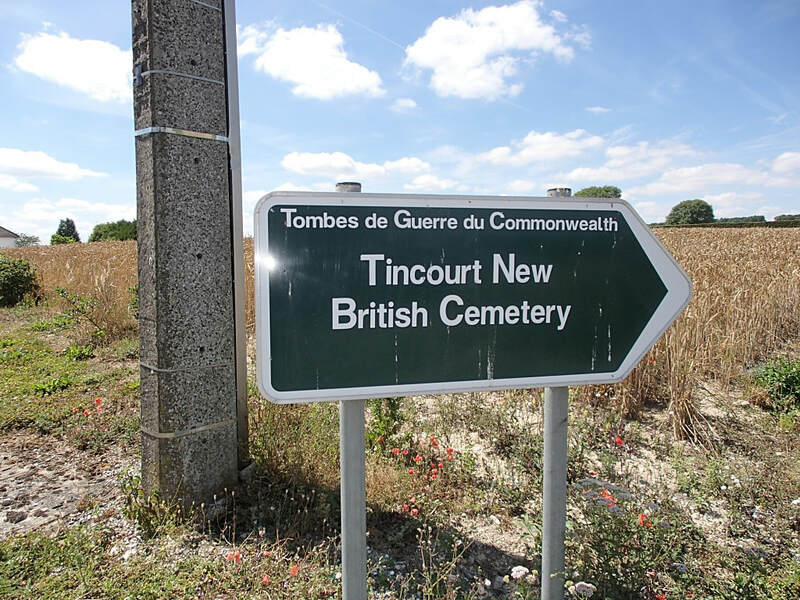 From that month to December 1918, Casualty Clearing Stations were again posted to Tincourt. 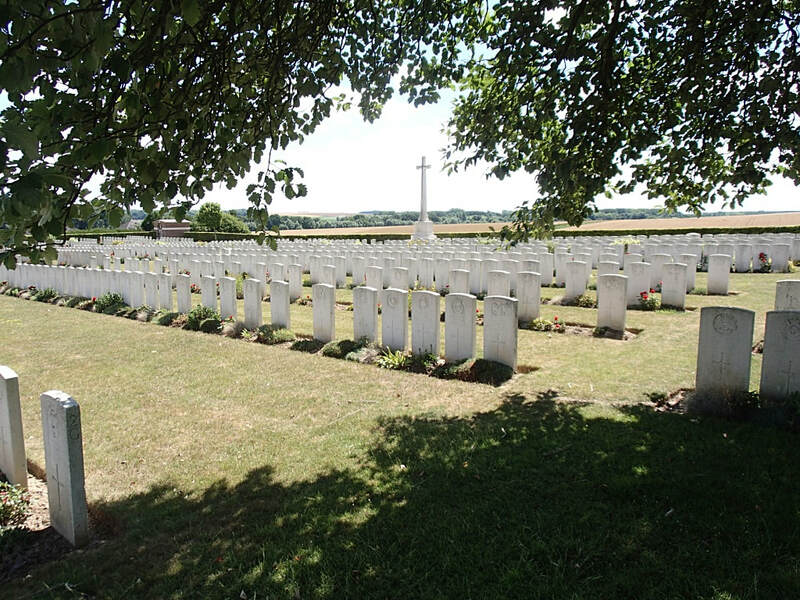 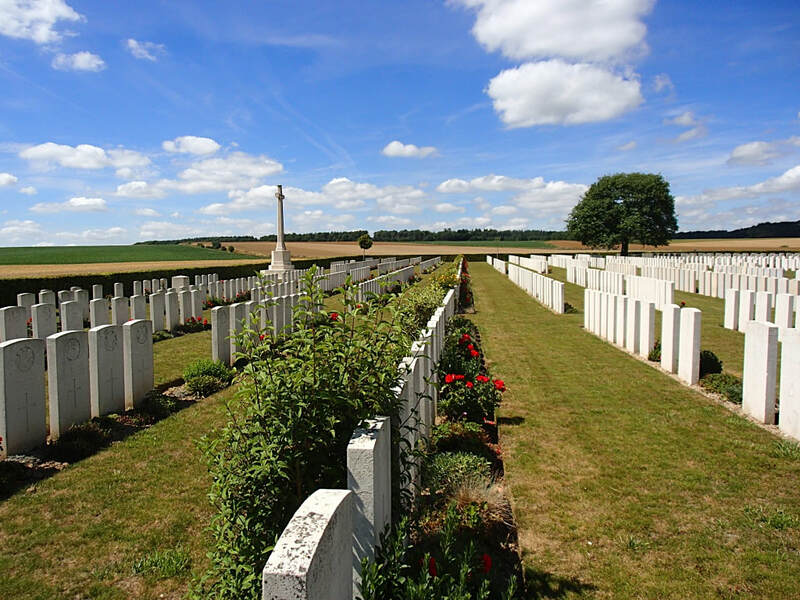 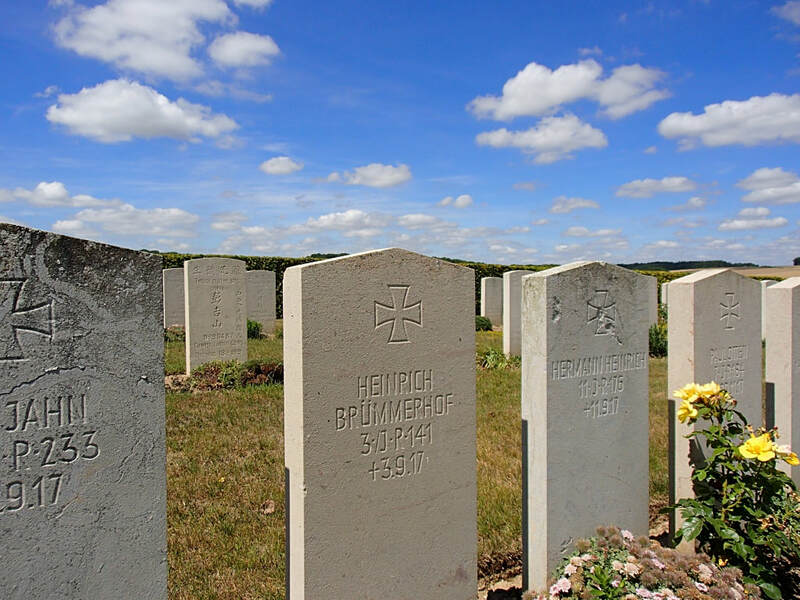 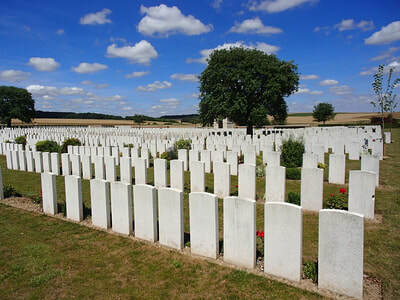 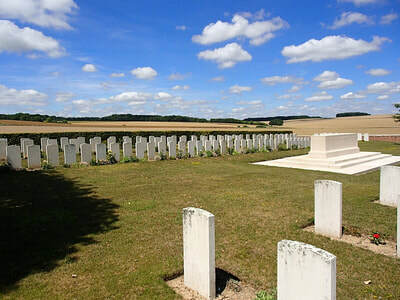 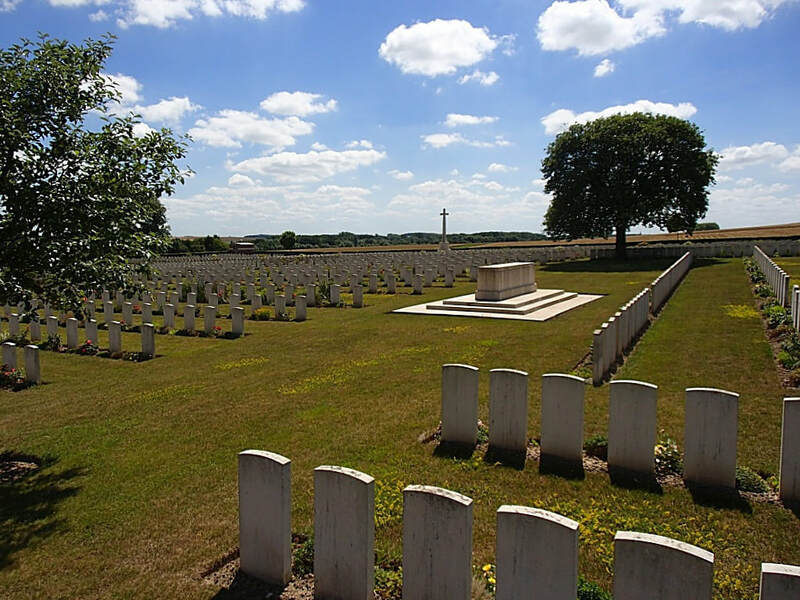 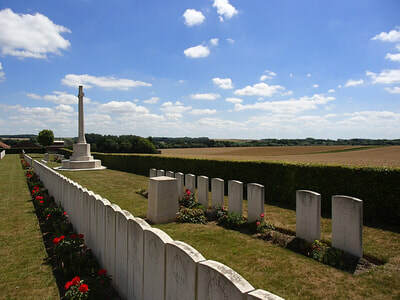 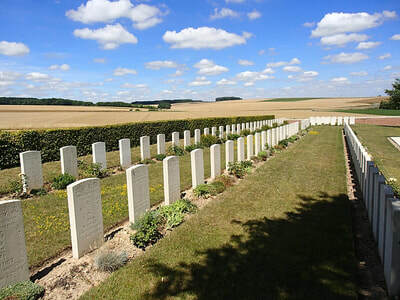 The cemetery was begun in June 1917, and used until September 1919; the few German burials, during their occupation of the village, are in Plot VI, Row A. 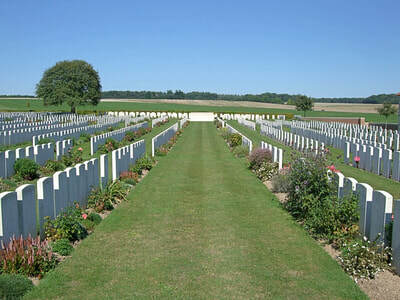 After the Armistice it was used for the reburial of soldiers found on the battlefield, or buried in small French or German cemeteries. VRAIGNES COMMUNAL CEMETERY GERMAN EXTENSION, in which one British and 117 German soldiers were buried. 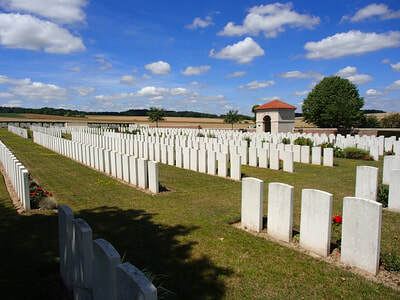 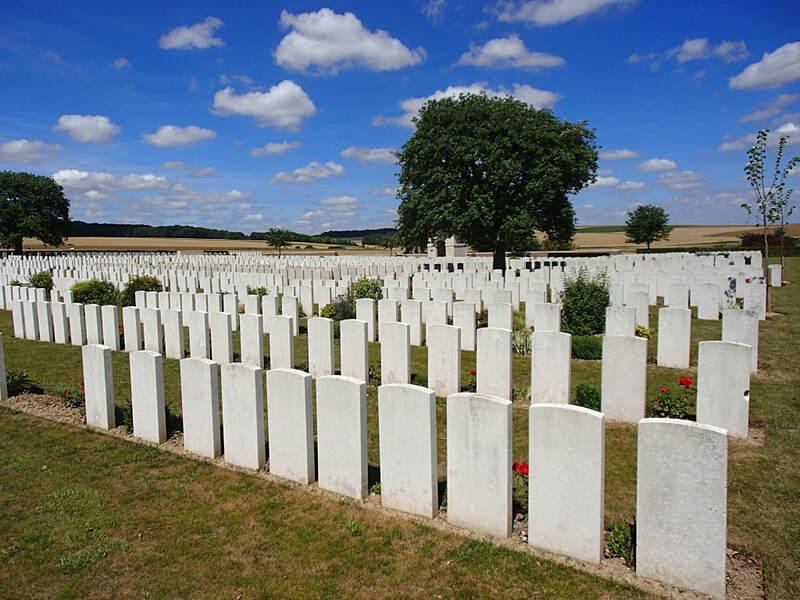 The graves of 136 American soldiers, buried here in the autumn of 1918, and one who died in December 1917, and those of two Italian soldiers, have been removed to other cemeteries. 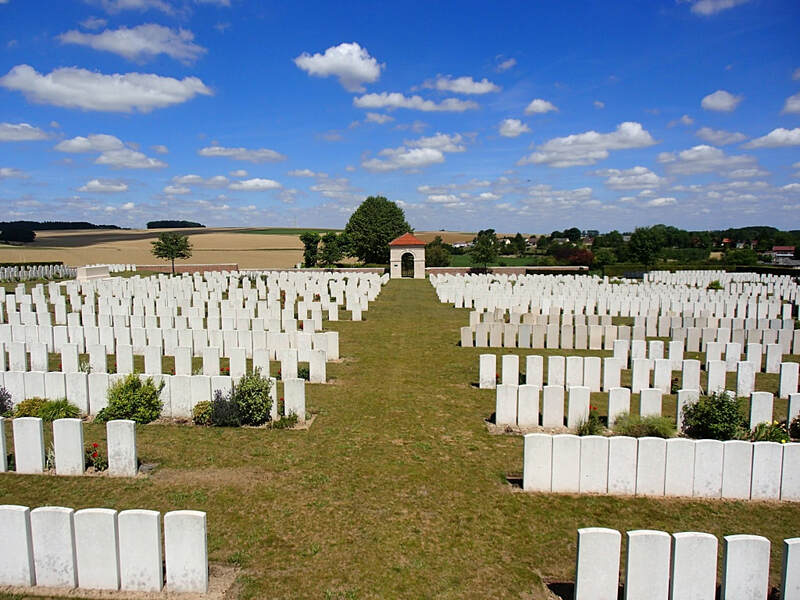 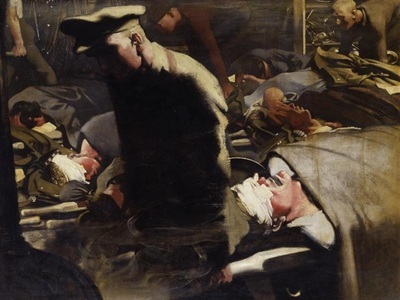 There are now nearly 2,000, 1914-18 war casualties commemorated in this site. 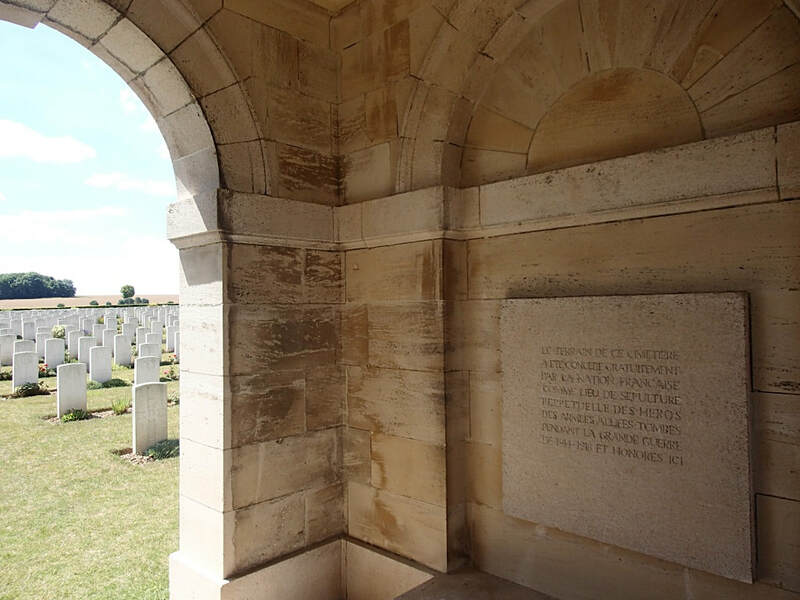 Of these, over 250 are unidentified and special memorials are erected to seven soldiers from the United Kingdom and one from Australia, known or believed to be buried among them. 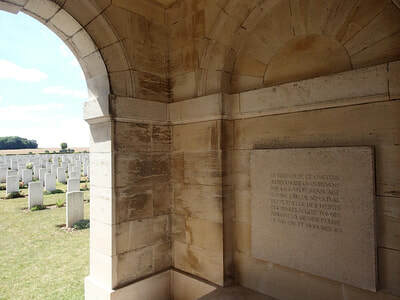 Other special memorials record the names of 21 soldiers from the United Kingdom, two from Canada, one from Australia and one from South Africa, buried in other cemeteries, whose graves were destroyed by shell fire. There are 151 German burials here, 7 being unidentified. 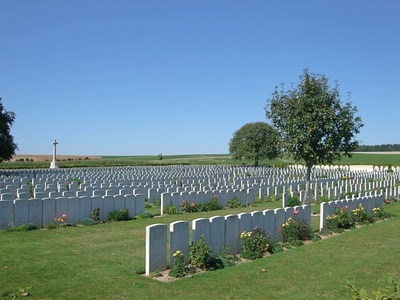 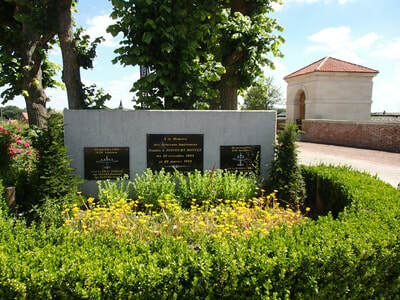 The cemetery covers an area of 6,149 square metres. 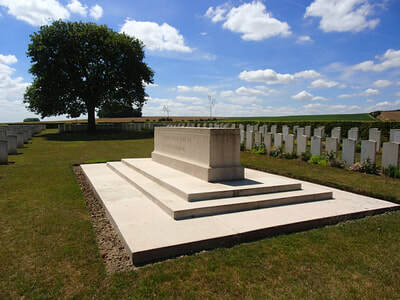 24th July 1917, aged 24. Husband of Jane Ann Alexander, of 116, City Rd., Newcastle-on-Tyne. 30th September 1918, aged 35. 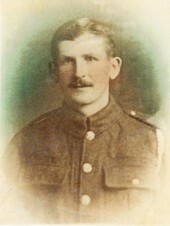 Born 1883 at Peebles, Peeblesshire. 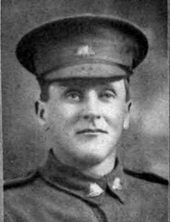 He emigrated to Australia and was in Australia for several years. When WW1 broke out he returned to this country as Private 4528/A in the 53rd Infantry Bn. 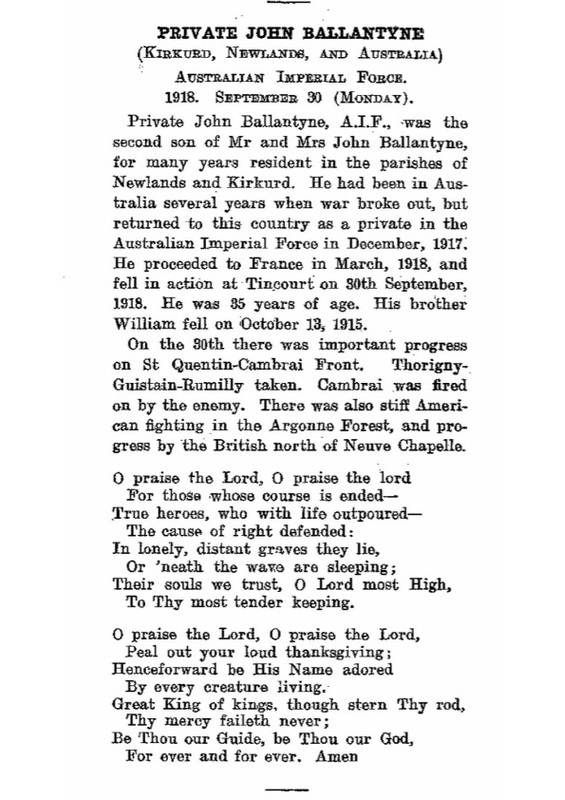 of the Australian Imperial Force (AIF). 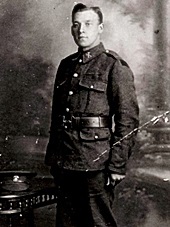 John went to France with his unit in March 1918, and fell in action at Tincourt on 30 Sep 1918. 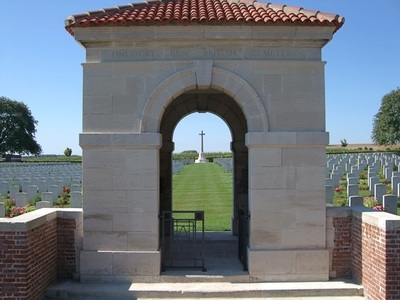 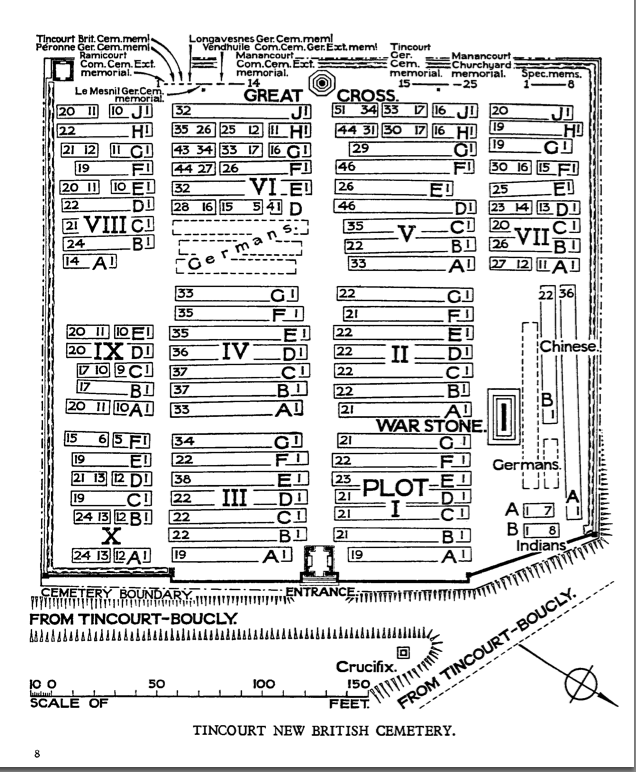 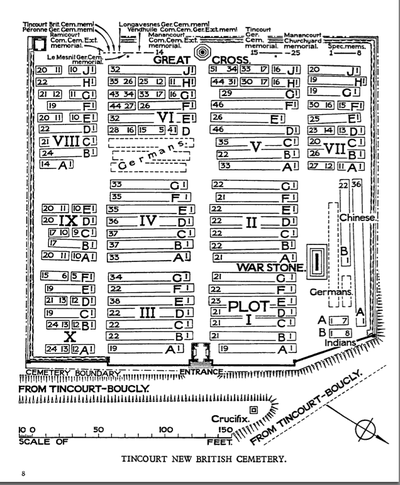 He is buried at Tincourt New British Cemetery, Grave Reference VI. 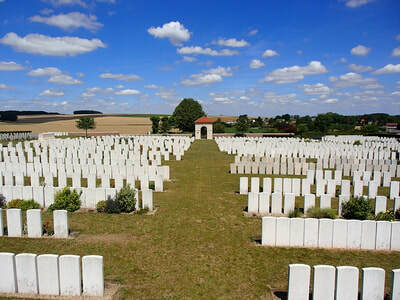 G. 14. 29th July 1917, aged 22. 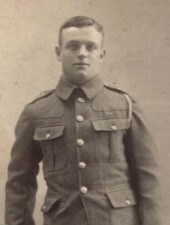 Son of Edward and Emma Elms of Kirkdale, Liverpool. 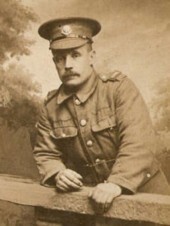 Husband of Mrs. T. J. Sharpe, of 9, Swanfield Rd., Waltham Cross, Herts.